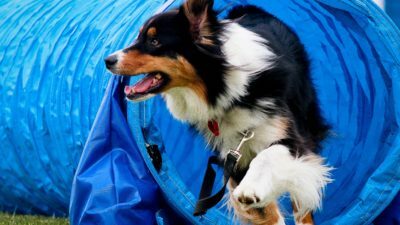 Find out how to run your own Canine Adventure Course. 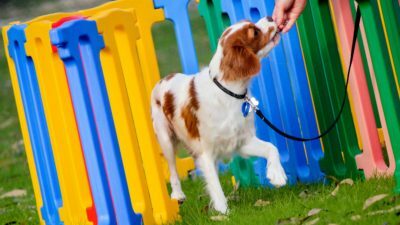 A great event to promote your business, fundraise for a worthy cause and/or provide your local dog owning community with a novel way to play with their dog! Are you and your dog keen to join in the fun of a Canine Adventure Course? Follow us on Facebook to find out when and where the next event is on! Empowering dog owners and dogs to have a great time! Dog and owner work and play as a team in a relaxed, friendly atmosphere. While exploring, investigating and interacting with 20 novel obstacles around a course, both dog and owner enjoy the opportunity to play together and have an adventure together! Recently I got the chance to take my Border Collie, Jess along to take part in a Canine Adventure Course. I was really excited to see the park it was held at, covered with lots of different obstacles for my girl to climb, interact, jump and run over. The session ran well with us getting to take it at our own pace when we approached each obstacle and she got to have a lot of fun the whole time we were there. The thing that stood out most for me about the Canine Adventure Course wasn’t just the happiness from the experience with Jess, but the long snooze afterwards my girl enjoyed as she had worn herself out. Something anyone with a working breed can appreciate. Taking my border collie, Jordi, to our first Canine Adventure Course was the best decision I have made as an engaged dog owner. All the staff were welcoming and were immediately able explain the course, the equipment and how to encourage the dogs to safely and happily enjoy “the adventure” without risk of injury. The emphasis was on positive praise, lots of treats, definitely non-competitive, and the most important aspect – fun! 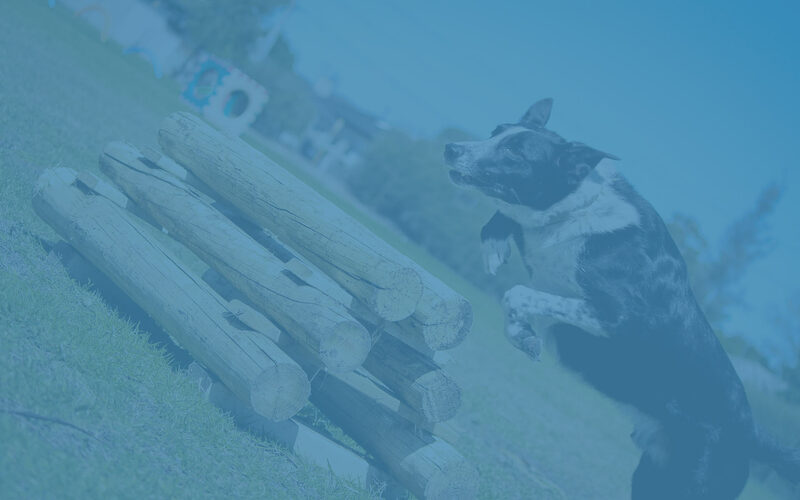 Each Canine Adventure since has revealed new experiences and fun sections for my dog to interact with – quite different to regular agility, but a great lead in to the more formal aspects of agility. I would recommend the Canine Adventure course to all dog lovers and their fur kids. Bobby flies over jumps, tip-toes through water ponds, dashes through tunnels and takes hay bales like they are no bigger than a blade of grass – all at lightning speed whilst thoroughly exhausting himself at the Adventure Course. I secretly think Bobby enjoys me breathless and running the obstacles with him…! Mackenzie absolutely loves the adventure course. While I can’t keep her off the ramps, over time and with rewards she has learned that white dogs can jump! Loki loves the adventure course. It’s a brilliant way for him to try new obstacles and figure things out for himself. It’s also a great way to meet like minded people who just love seeing their dog having a ball. 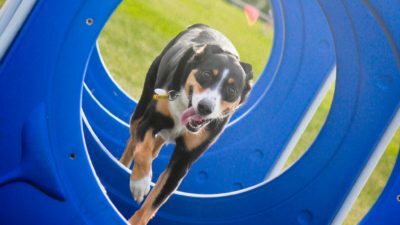 The Canine Adventure Course was a great addition to the Million Paws Walk, feedback from participants was that they wanted something fun to do with their dogs at the event and the Canine Adventure Course definitely did that! It was entertaining for everyone, the spectators had a great time and the participants loved being able to test their dogs skills and have a go at something fun and engaging for their dog! The obstacles were fun, colourful and engaging for the dogs, they loved it! Events Coordinator RSPCA Western Australia (Inc.